Our overall experience was excellent - the owner welcomed us at check in, and gave a lot of useful information. 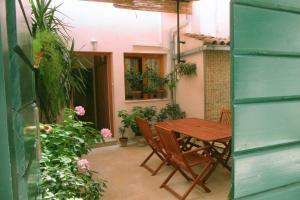 Apartment is located in the heart of Trogir, but still quiet and you can have a good nights sleep. Free parking is a huge benefit. Definitely will stay again if ever in Trogir. 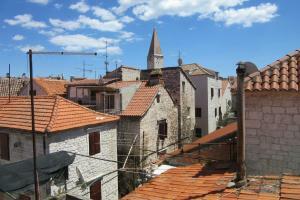 Excellent location in Trogir and great value. Very good host! Frendly and helpful host, speaking very good English.Interior with good selection and taste. Nice welcome from host. 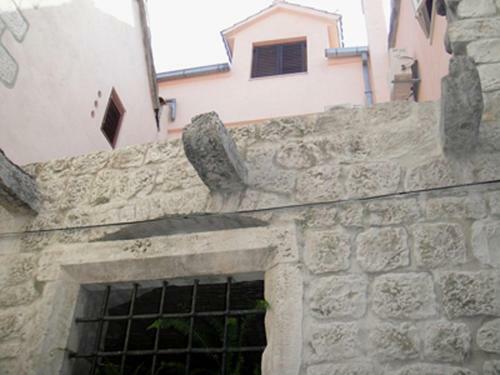 Great location in heart of Trogir old town. Quiet but very close to restaurants etc. We were able to leave our bags to collect later in the day. The friendly and helpful owner, wonderful location in the beautiful Old Town, view from our window, how light and pleasant our room was. Flat is very clean and very good located in the hart of Trogir's old town. 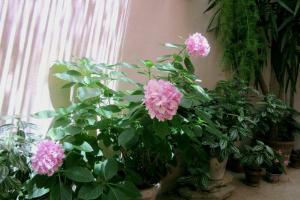 The Host is very kind and helpful, speaks very good English, cares about the guests and always has time for them. We arrived late in the evening and appreciated a warm welcome from our host, who gave us homemade lemonade in her beautiful home. The room had lovely views and was very comfortable. 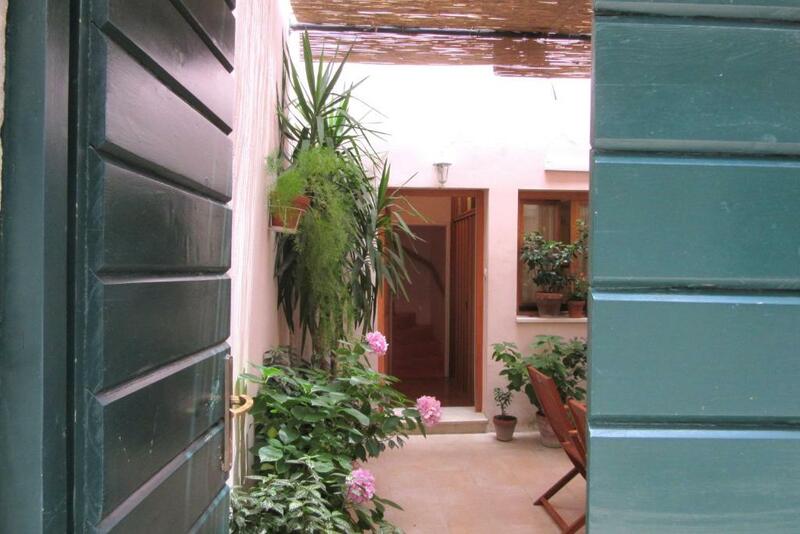 Set in a wonderful old part of town, with its maze of narrow stone passageways that led to low lit restaurants. Would have loved to have stayed longer but had to leave early in the morning. Jelka was very helpful, warm and kind. Thank you. The room was tidy and clean, the kitchen is small but there's everything you need. The bed is confortable and the air conditioning works very well. The host, Jelka, is a very kind person, she reccomanded us where to go and what to visit. It seemed to be at home! 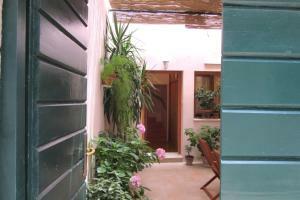 Lock in a great price for Dobra Apartments – rated 9 by recent guests! Dobra Apartments This rating is a reflection of how the property compares to the industry standard when it comes to price, facilities and services available. It's based on a self-evaluation by the property. Use this rating to help choose your stay! One of our best sellers in Trogir! 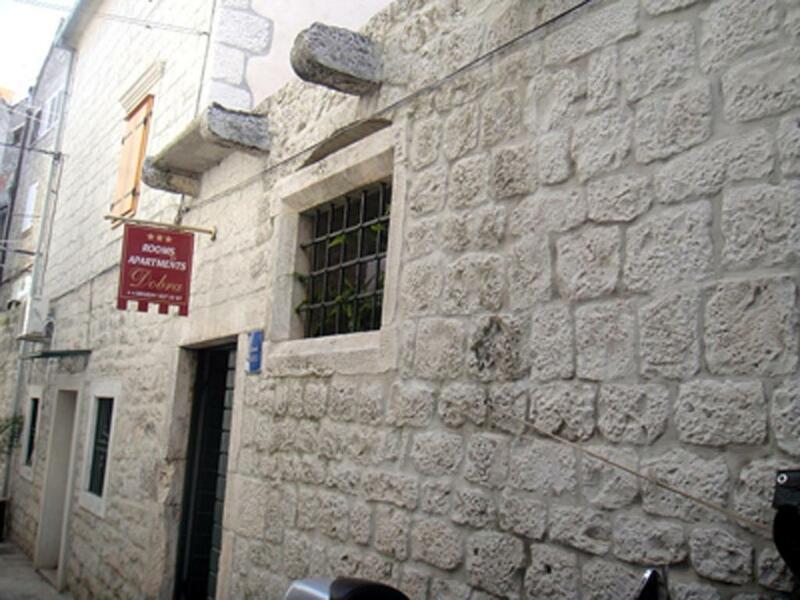 Located in Trogir’s city center, Dobra Apartments features air-conditioned studios with free Wi-Fi. All units come with satellite TV, a fully equipped kitchenette and a bathroom with shower. The nearest pebbly beach is 650 feet away, while pebbly Copacabana beach can be reached within 1.2 mi. Grocery stores and restaurants are just steps away from Dobra and Maja. Boat trips to nearby islands of Brač, Hvar and Šolta can be booked daily. Several medieval churches are within a walking distance. Trogir Bus Station is 650 feet away while the nearest ferry port is 350 feet away. Split Airport is 3.1 mi from Dobra Apartments. 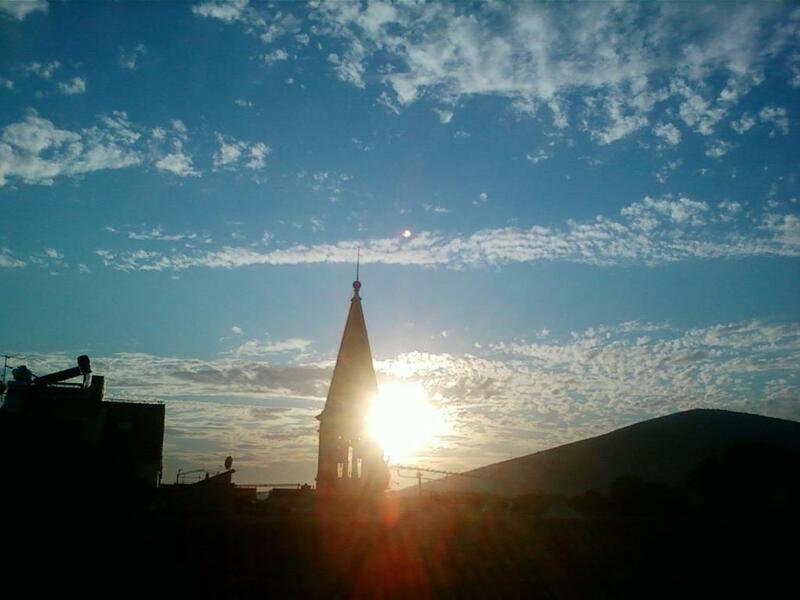 This is our guests' favorite part of Trogir, according to independent reviews. This property also has one of the top-rated locations in Trogir! Guests are happier about it compared to other properties in the area. 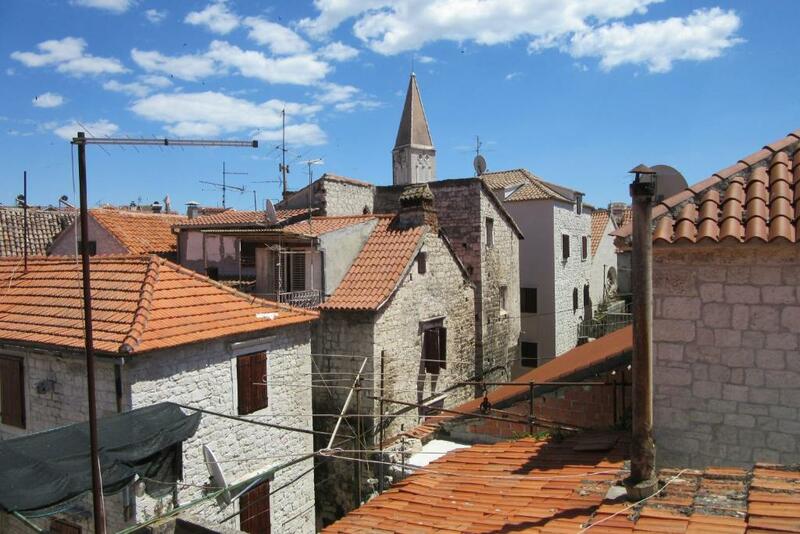 뀐 Located in the real heart of Trogir, this property has an excellent location score of 9.7! When would you like to stay at Dobra Apartments? This air-conditioned studio comes with a fully equipped kitchenette, satellite TV and a shared terrace with a seating area. This studio has a soundproofing, kitchenware and dining area. Kuća Dobra nalazi se u centru grada Trogira starijeg od 2000 godina. Svaka kuća u Trogiru je zaštićeni kulturni spomenik. Kuća Dobra dio je palače Petra i Mladena Šubića plemića koji je živio u 13.stoljeću, plemićki grb vidljiv je na glavnim portalnim vratima na sjeveru palače. Dođete li u moju kuću doživjeti će te romantičnu priču o kući iz 13 stoljeća u kojoj su nekada živjeli plemenitaši. Sama ulica u kojoj se nalazi kuća zove se Šubićeva ulica. Kada dođete u kuću Dobra ulazite u maleni dalmatinski dvor prepun cvijeća u kojemu možete sjesti i uživati u ispijanju kave ili čitanju knjige. Kuća Dobra ima 3 studio apartmana kompletno opremljena.Studio se sastoji od 2 kreveta, kupaonice i mini kuhinje i svaki se nalazi na svojem katu. Najljepši pogled imamo sa trećeg kata na kojem se nalazi studio s prekrasnim pogledom na krovove Trogira. Sa prozora možete uživati u pogledu na zvonik katedrale Sv.Lovre, zvonik crkve S.Dominik, zvonik gospe od Karmela, tvrđavu Karmelengo, zvonik crkve Sv.Petara, te zvonik Sv. Nikole. Dragi gosti zahvaljujemo vam unaprijed, dobrodošli u kuću Dobra. Zovem se Jelka Kalebota. Vlasnica sam kuće Dobra. Imam 53 godine. Po zanimanju sam ekonomist,i PR menadžer zaposlena u Domu za odrasle osobe Trogir, koji zbrinjava ljude s mentalnim poteškoćama.Volim komunicirati s ljudima iz različitih zemalja i kultura. U svakom slučaju kontakti s ljudima me posebno vesele, jer uvijek doznam i naučim nešto novo bilo to o ljudima, običajima i različitim kulturama.Moje porijeklo je sa jednog malenog otoka koji je prava oaza u blizini Trogira, a to je otok Drvenik Veli. Mojim gostima toplo preporučam izlet na taj božanstveni otok, nedirnute prirode udaljen svega 45 minuta od Trogira. Odrastajući na otoku u moju svijest je duboko usađena skromnost i jednostavnost,poštenje i uvažavanje svakog ljudskog bića. Dragi gosti biti će mi uživanje ugostiti vas u svojoj kući, Uvijek ste dobrodošli. Kuća Dobra nalazi se u susjedstvu nekoliko crkava u mirnoj ulici. Nedaleko se nalaze poznati restorani, dućani i riva na kojoj možete uživati promatrajući more i galebove i slike prekrasnog starog grada. Promatrajući slike Trogira mašta će vas odvesti u jedno posve drugo vrijeme, u jednu priču malog mediteranskog grada i njegovu bogatu povijesnu i kulturnu baštinu.Svaki kamen u Trogiru priča svoju priču, priču koja je starija od 2000 godina, na što ukazuju brojni kulturni spomenici. Obilazak Trogira obogatiti će vašu spoznaju o životu na ovome prostoru. Brojna arheološke nalaze i ulamke naći će te u Muzeju grada Trogira, gdje se čuva zbirka umjetnima.Moja kći Dobrila je arheolog po zanimanju, te će našim gostima rado pokazati arheološku zbirku našega grada i ispirati im priču o njima. Trogir's old town is a beautiful mix: fairy-tale medieval walls mingling with palm trees. Go exploring! House Rules Dobra Apartments takes special requests – add in the next step! Please inform Dobra Apartments of your expected arrival time in advance. You can use the Special Requests box when booking, or contact the property directly using the contact details in your confirmation. One of the most picturesque neighborhoods in Trogir! Loo door opened inwards and it was a squeeze getting in and out. Could the door be hung the other way? My flight landed late, at around 11pm. So I asked to check in at that time. They agreed to check me in, but as soon as I arrived they treated me like it was a bing inconvenience for them, and made me feel bad for asking that. Something similar happened upon my check out, when I asked to quickly use the toilet before heading to my ferry. They didn’t have any toilets downstairs, close to their little kitchen, so they said you could go back to your room, but I would need to clean it again... So I felt bad, and said, ok never mind, and went to find a toilet in a restaurant on my way to the ferry. Also, I requested a double bed when I booked, but ended up with twin beds. It was only one night, so I didn’t mind, but if I stayed longer it would have bothered me more. Stairs somewhat steep. Gate to house needed a key which meant we either had to travel together or one would get locked into the house. For couples, make sure you book room that has big bed, not twin beds. Rooms had small kitchenette, nice perk! Location in old town and one bridge away from all the groceries, parking (provided by apartment), huge plus! No wall attachment for shower head, had to hold in hand. With table, chairs and cabinet in the small space it left little room for our luggage. Great location, free reserved parking, good information and welcoming drink from host. Good air conditioning. The only thing I did not like was the stairway of the house. The studio is clean and comfortable and the owner is so kind and nice. I would repeat if I come back to Trogir. A little small, however good enough for a short stay! The owner is so nice and help us to do the laundry for free and hang our clothes outside the window. 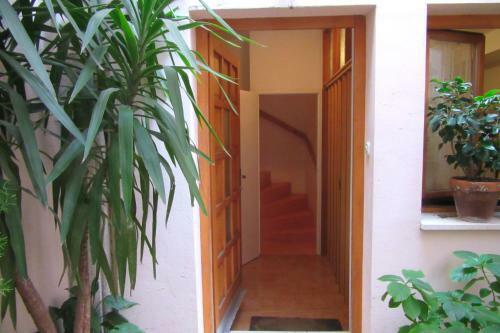 The location is very convenient,just inside the own town and nearby all the popular spots,as well as two supermarkets.